Daily Illuminator: Play The New Ogre Against Steve At Origins! May 15, 2013: Play The New Ogre Against Steve At Origins! 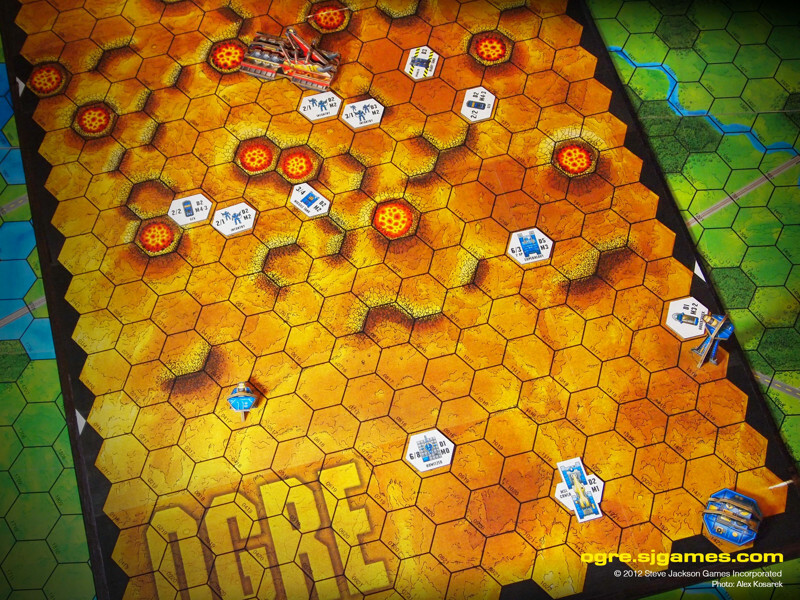 Defend your Command Post against Steve Jackson himself, in a sneak preview of the new Ogre Designer's Edition! Steve will play simultaneously -- like a chess grandmaster -- against up to a dozen opponents. There'll be prizes for participation, and (gasp) for beating Steve! Beginners welcome! When: Wednesday, June 12, 2pm. Places are limited -- you can register on the Origins webpage. If you can't make that time, you can play against a much lesser mortal -- namely, myself -- at 5pm on the same day. I'll also be running sneak preview events -- playtests for new Ogre scenarios -- at 2pm on Thursday, June 13 and Friday, June 14 (event registration required). If you prefer to just drop in for an Ogre demo, or see the game pieces, you're welcome to come by the Steve Jackson Games exhibitor booth throughout the fair.